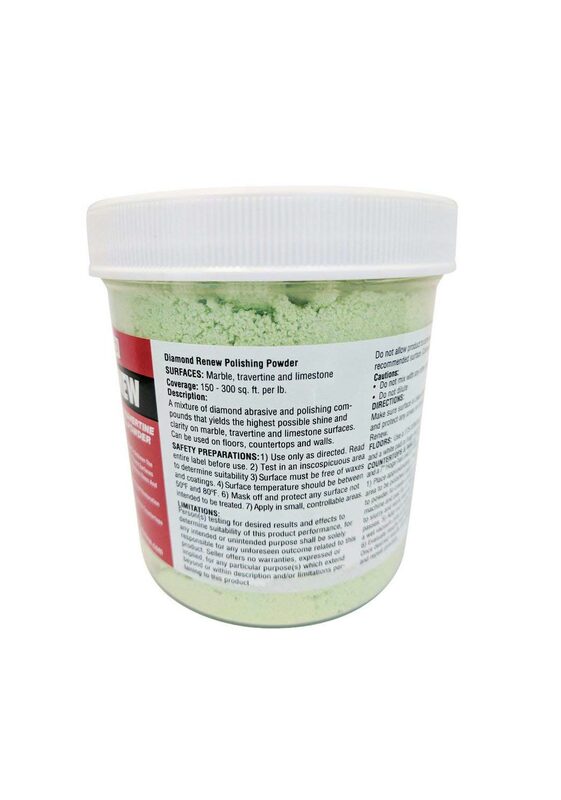 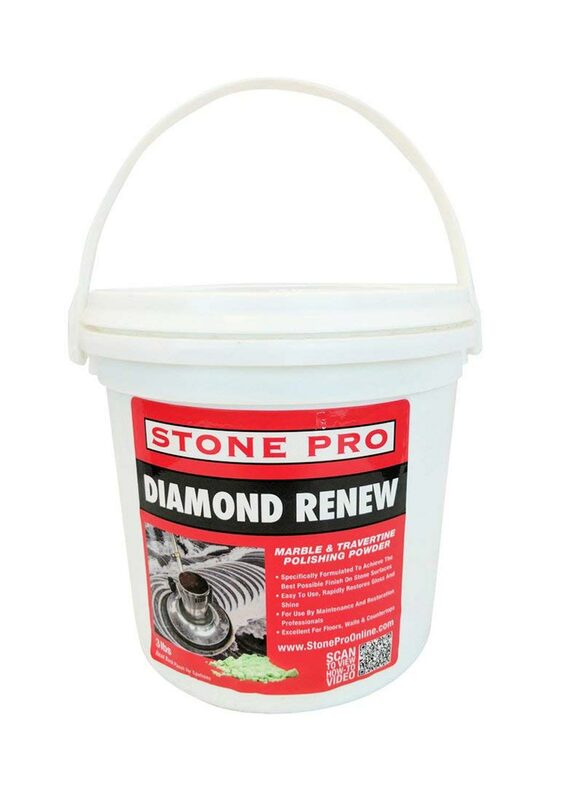 Diamond Renew is a polishing powder containing diamond abrasive that allows you to achieve the highest possible shine and clarity on marble, travertine and limestone. 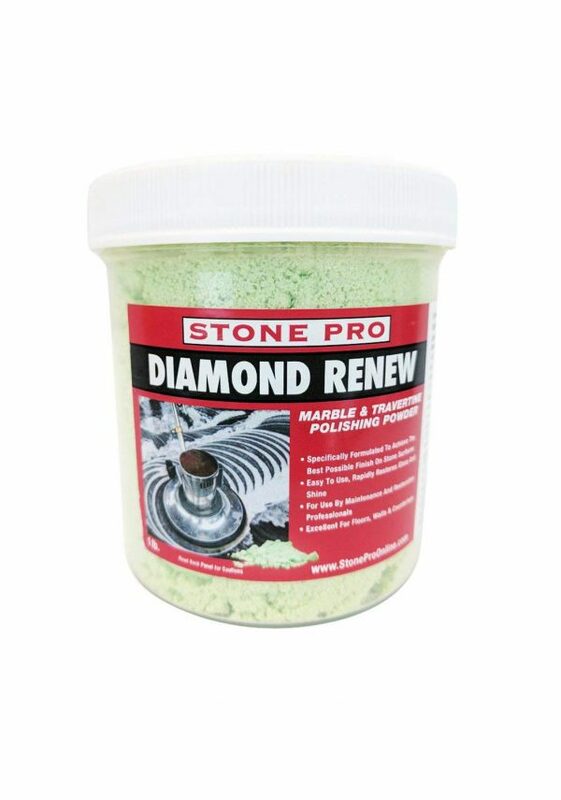 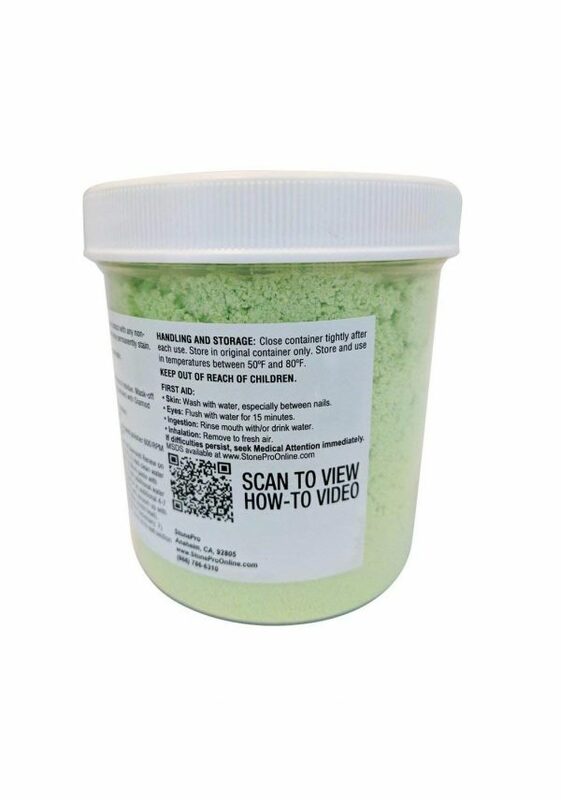 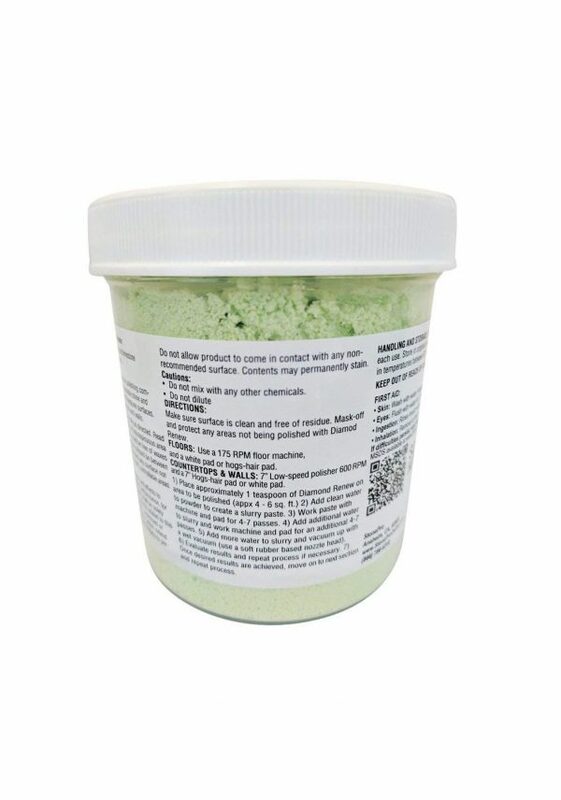 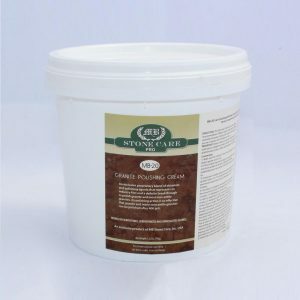 A mixture of diamond abrasive and polishing compounds that yields the highest possible shine and clarity on marble, travertine and limestone surfaces. 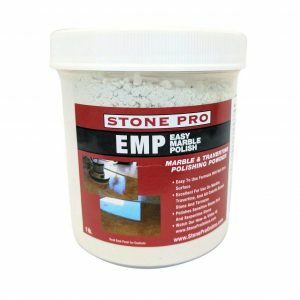 Works well on brown, red, and black marbles.